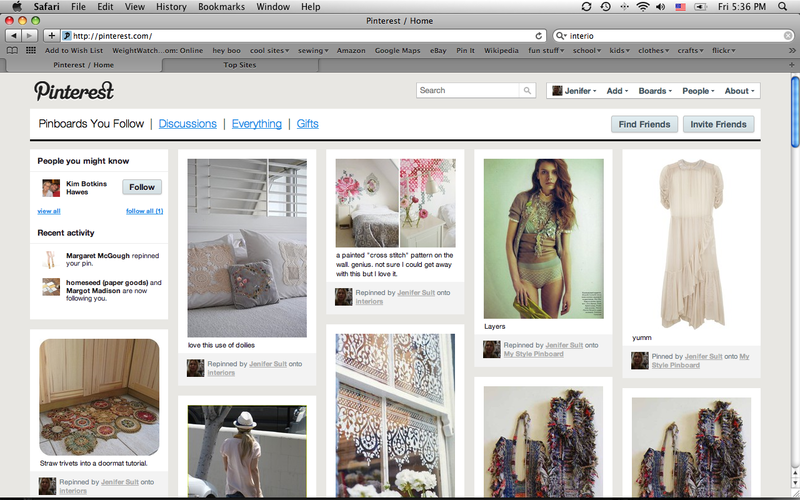 I finnally got around to checking out Pinterest. I’ve had my password for a while now but I just haven’t had the time to try it out, and really the idea of learning to use another online tool just seemed overwhelming (my head is still reeling from Google analytics). Well, 1o minutes into it I was hooked. It is really easy and intuitive to use. I tryed most of the features like pining, sharing, liking, re-pining, making and editing boards, and I was successful with all of it. 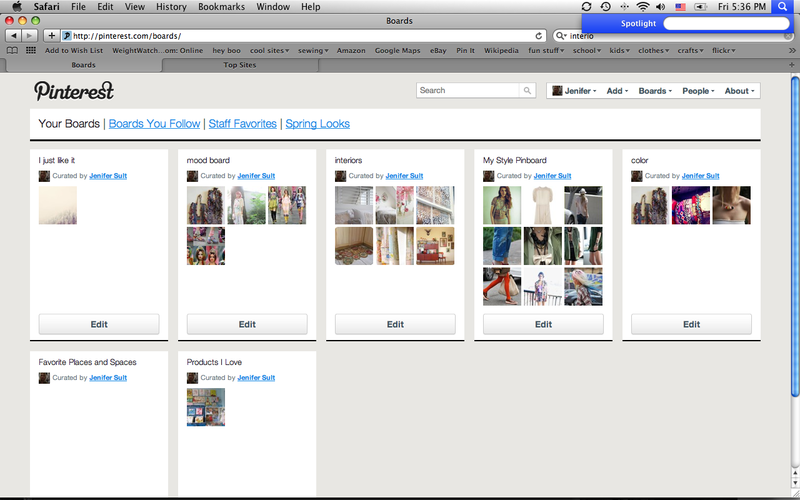 While I checked my blogs like I usually do on Fridays I ‘pinned’ things that I liked enough to want to save for later. I have files and files on my computer full of images from the internet that I think I want to save for later inspiration but never look at again! Either I can’t remember where I saved it away or I just forget I ever saw it in the first place. This lets you save, label and organize images from most anywhere on the net and the best part (in my opinion) is that you don’t need to take the time to credit the source because it does that for you with a direct link to where you captured the image. 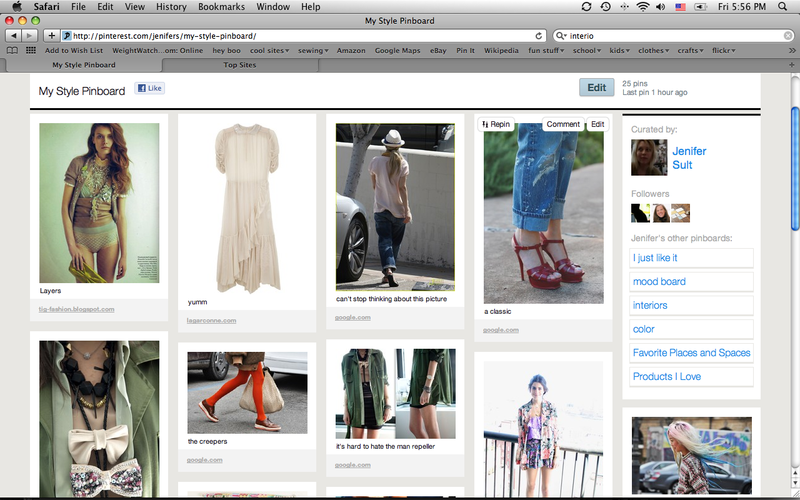 So far the only website that I had a hard time pinning from was style.com. I couldn’t get the individual images from the runway to show up as pins. This was really a bummer as this was the one place I really want to save images from. If you have some time to kill I highly recommend looking into this! Let me know if you do and I will check out your boards! teeheeehe! i heart pinterest. so so much. and….MASHED POTATOES AS PIZZA SAUCE?! whatttt!? ← what did you do today?